Our first of two stations, Pioneer Village, opens to the public on Saturday 28 October 2017. Forming part of the Toronto-York Spadina Subway Extension Project (TYSSE) that will provide a critical extension for the existing Toronto Transit Commission (TTC) subway system across the municipal boundary between the City of Toronto and The Regional Municipality of York (York Region). 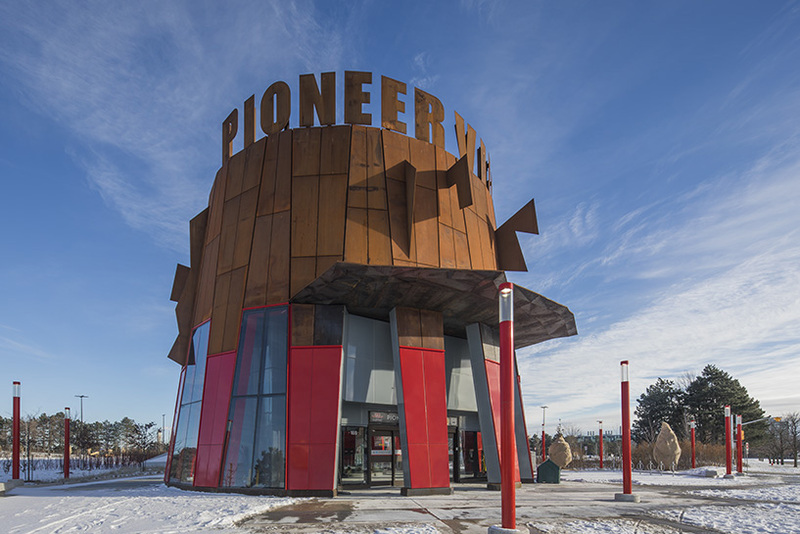 Six stations include two designed by Will Alsop in collaboration with local architect Richard Stevens (part of the IBI Group)- Finch West and Pioneer Village (originally Steeles West). Both are due to complete in late 2017.